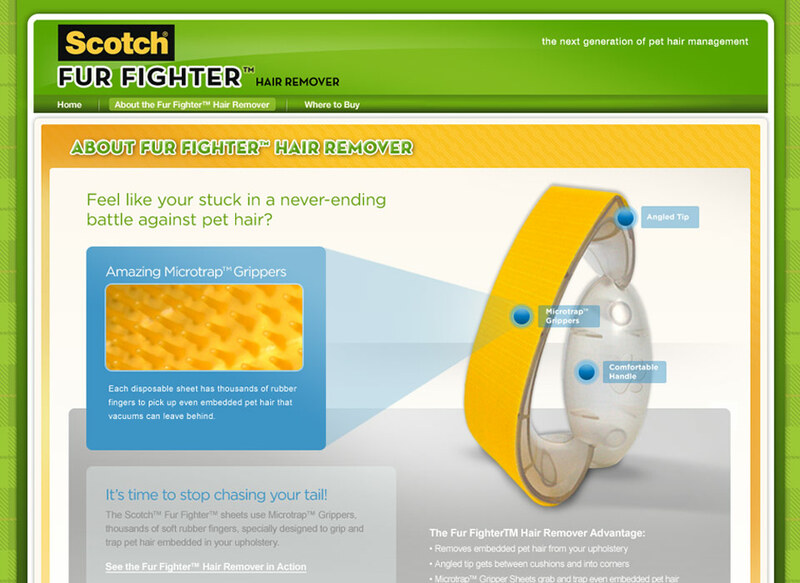 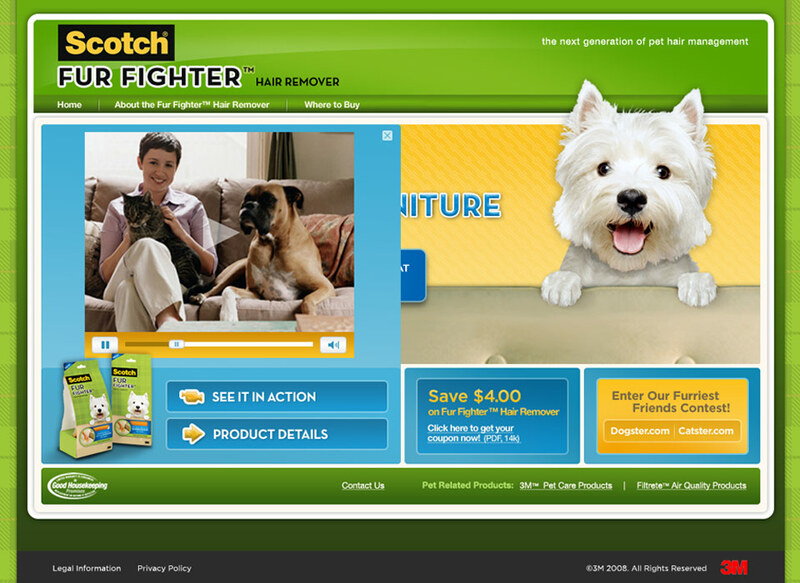 Fur Fighter helps pet owners quickly and easily clean up pet hair from furniture. 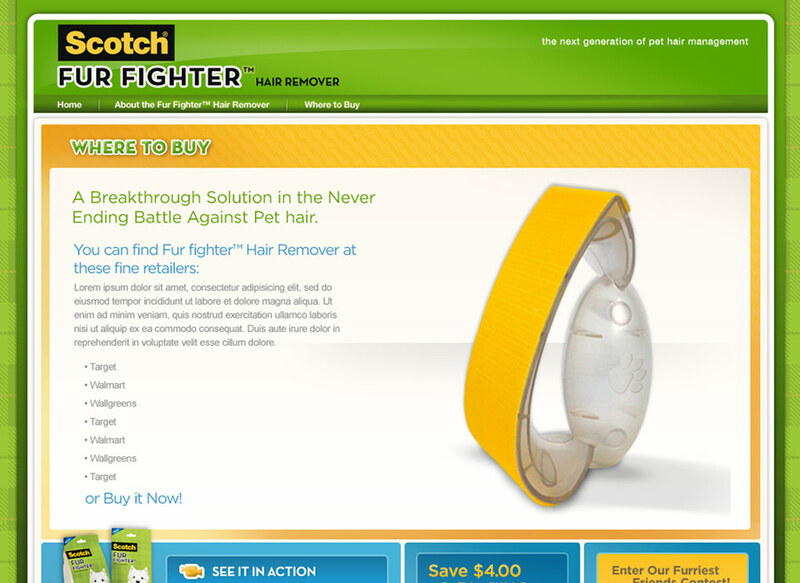 The campaign highlighted the product features and benefits and included promotional offers and sweepstakes. 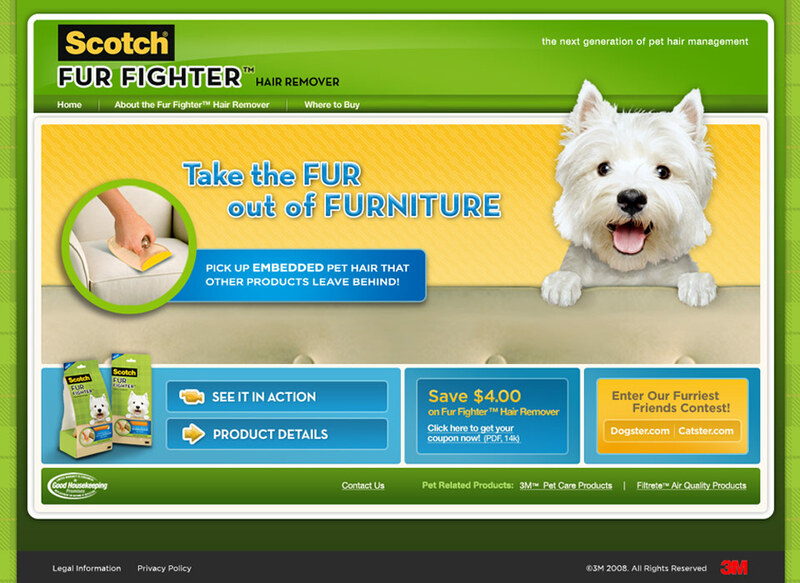 The campaign included a new website, banner ads and HTML emails.